Rebook Digital Marketing took a positive look at the results of Ivanti’s recent Women in Tech survey and identified seven of the best things about being a woman in this industry. 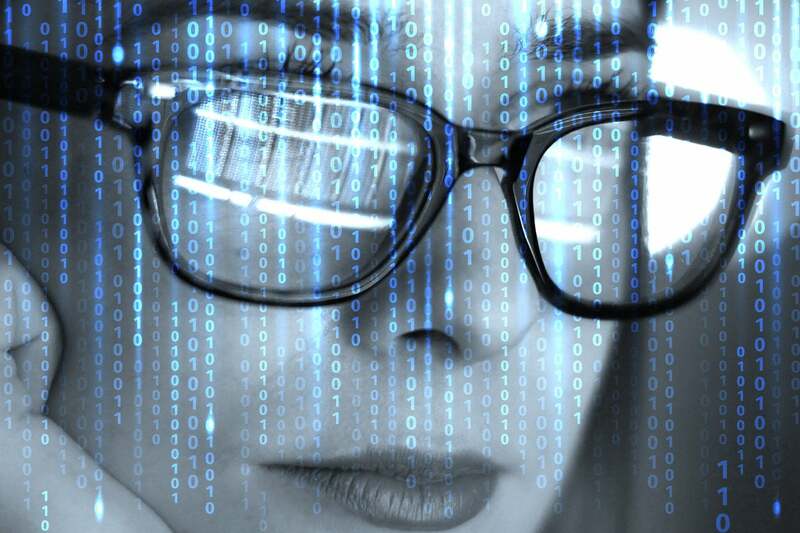 There’s plenty of bad news about women in tech, as evidenced by the Women in Tech Survey Report 2018 by Ivanti, in which 63 percent of the 500 women in technology respondents cite “being taken seriously” as their number one challenge. Forty-three percent say they have no female role model, and 40 percent cite the gender pay gap as their greatest challenge. Oof. That’s … discouraging and disappointing, to say the least. But Reboot Digital Marketing wanted to flip the script and see if they could interpret the data in a different way — to highlight the opportunities available and to identify the positives. 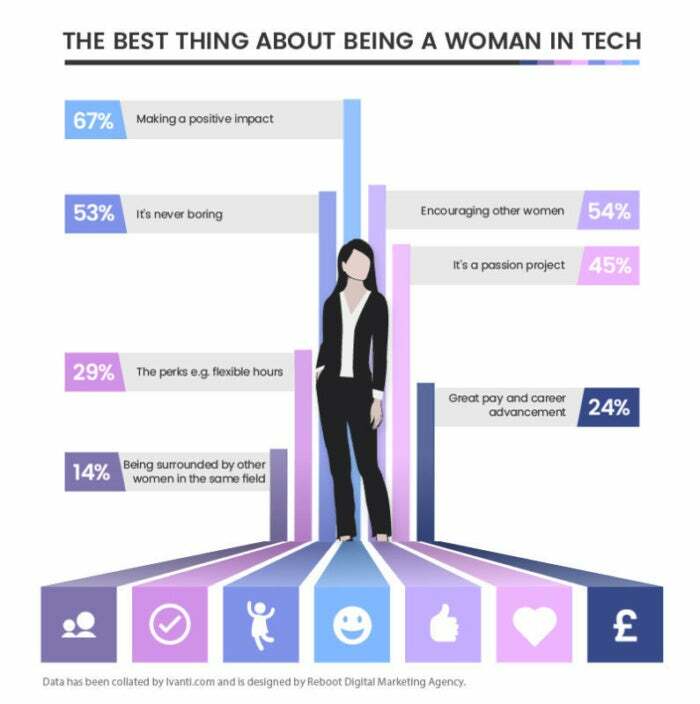 When viewed through this lens, 67 percent of respondents believe “Making a positive impact” on their organization and/or industry is the best thing about being a woman in tech. Just over half, 54 percent, say “Encouraging other women” is a major positive, and the same percentage say they believe there are more women in tech today than five years ago. Fifty-three percent of women say “It’s never boring,” and 45 percent say “It’s a passion project,” pointing out the ways that the tech industry is giving women a dynamic, creative, and engaging outlet for their skills and interests, according the data. And, of course, there are major perks cited by 29 percent of respondents: the opportunity to work flexible hours or to hot-desk in a new environment using cutting-edge technology are two major perks. Not to mention the potential for “great pay and career advancement,” which 24 percent of women champion as the best thing about working in tech. Finally, “Being surrounded by other women in the same field” is a factor, though only 14 percent of women can say this. Though it’s certainly challenging to be a woman in the technology field, I love seeing silver-lining stories like this one. Seeing other women thrive and excel and live their dreams doing meaningful work that they love should help serve as encouragement to others and further the fight for equality and equity.